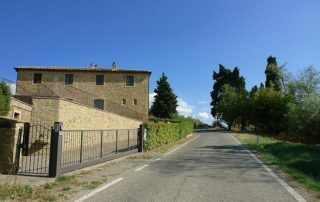 Leave from Piazza Gramsci in Montaione turning immediately left onto Viale Filicaja and after a short descent begins the ascent of about 3 km following the signs for Gambassi Terme and San Gimignano. 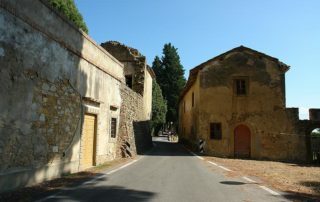 At some point the ascent passes in front of a Roman Cistern ofthe II century AD, cross the village of Poggio all’Aglione and start to go down until you reach a junction. 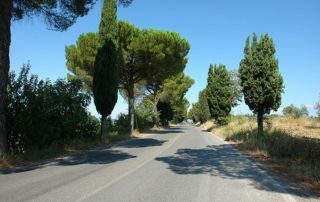 Turn left towards Gambassi Terme along a stretch of road slightly downhill and lined with pine trees. 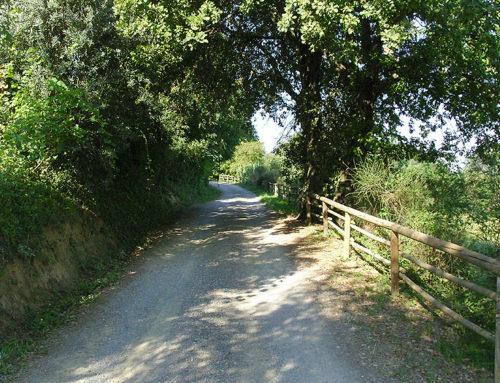 You will pass the village of Gambassi Terme going through the center in front of the Municipal Park. 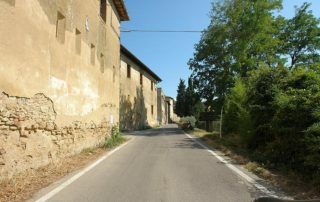 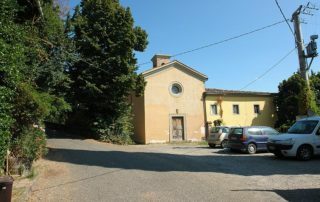 Once near the Church dei Santi Jacopo e Stefano (built in 1940, on the spot where stood the ancient church of San Luca or degli Agostiniani demolished in 1786), take the road to the right in the direction of Certaldo. 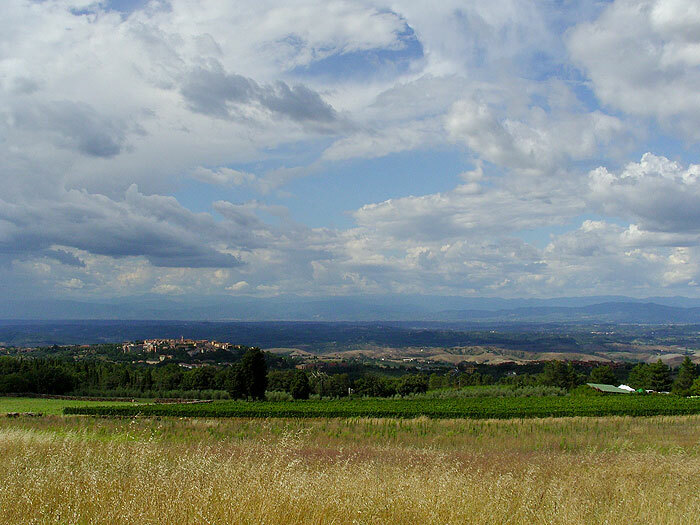 It begins a long descent of about 7 kilometers through vineyards and olive groves that will give you, as well as a bit of relief to the muscles, the view of one of the most beautiful landscapes of Tuscany, in some places you can see the towers of San Gimignano and in the distance in front of you the medieval village of Certaldo. 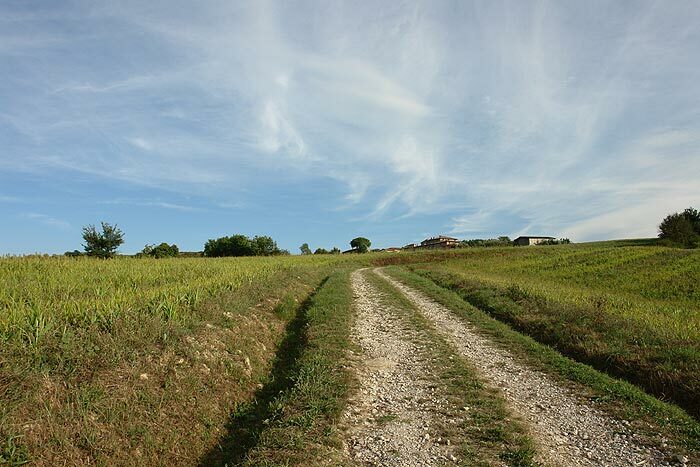 Towards the end of the descent, near Certaldo you will pass Badia a Cerreto, a former private Church, which in 1059 was donated to the Camaldolese monks who turned it into an abbey. 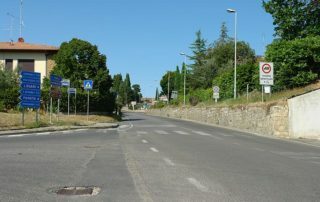 Once in Certaldo, then you will reach a first roundabout where you have to take the road to the right, at the second roundabout, go straight on, pass under the railway and at the roundabout turn right onto Via Fabiani following the signs for Poggibonsi and Siena taking the State Road 429. 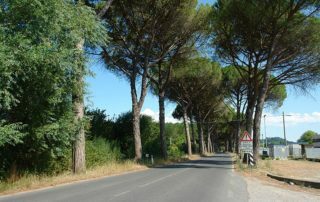 Continue on Road 429 at times bordered by rows of pine trees, which can be a bit busier than the others, but only for 2.5 km until you reach the road to the left, narrower but really characteristic, following the signs for San Donnino and Sciano. 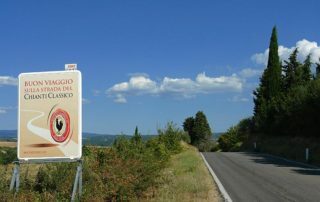 After an initial brief stretch almost in plain, you will begin to feel the real ascent that near San Donnino reaches a gradient of 15%. 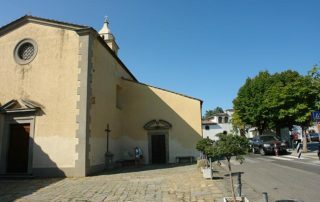 Once in San Donnino, near the junction for Petrognano and Barberino Valdelsa, you will find the characteristic dome of San Michele Arcangelo built between 1594 and 1597. 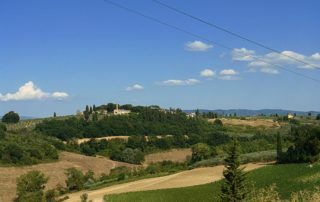 It was built by Giovan Battista Capponi following the designs of Santi di Tito, in the place where the legendary Castle Semifonte was destroyed by to the army of Florence in 1202. 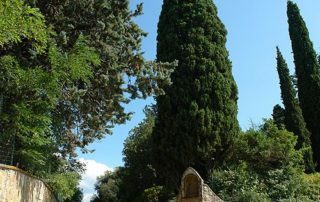 A curious fact is that the dome of San Michele Arcangelo in an octagonal base plays in 1:8 scale, the most famous cathedral of Florence, Santa Maria del Fiore. 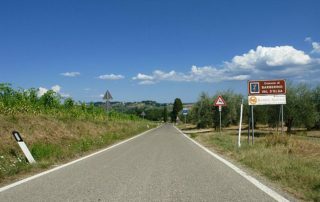 Turn right heading towards the nearby village of Petrognano and then continue for another 5 km to Barberino Valdelsa: a characteristic village in the Tuscan countryside with an historical center still intact and the beautiful Church of San Bartolomeo from which you can admire a breathtaking panorama of the Chianti countryside. 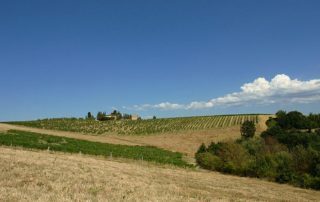 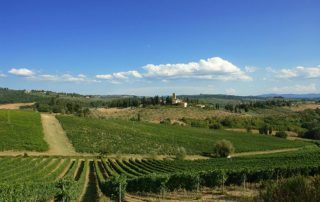 From Barberino, travelling a scenic route along the ridges of the hills alternating short ascents and descents, you will reach after 5 km the village of Marcialla and after 3 km Fiano. 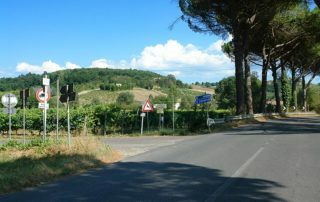 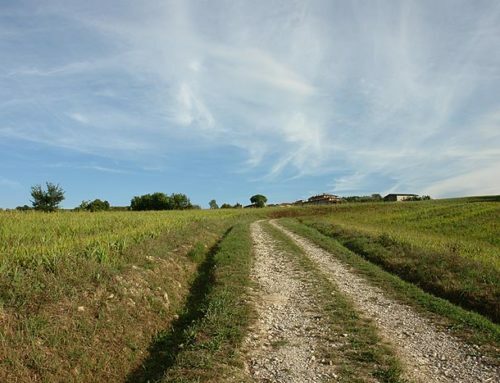 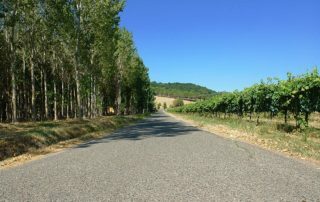 After passing the village of Fiano begins a long descent, which in some stretches can be quite steep, and some sharp turns that will make this part of the route amazing and definitely thrilling. 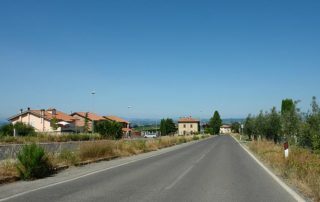 While approaching Certaldo, enjoy the scenery until you pass the cemetery of Mercy and then get onto, turning right, Via Roma. 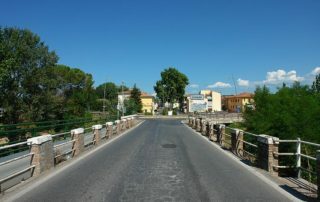 Cross the bridge over the river Agliena and then enter Certaldo “Basso” (the modern area of Certaldo, which houses the majority of businesses and services, and is located in the valley between the river Elsa and Agliena. 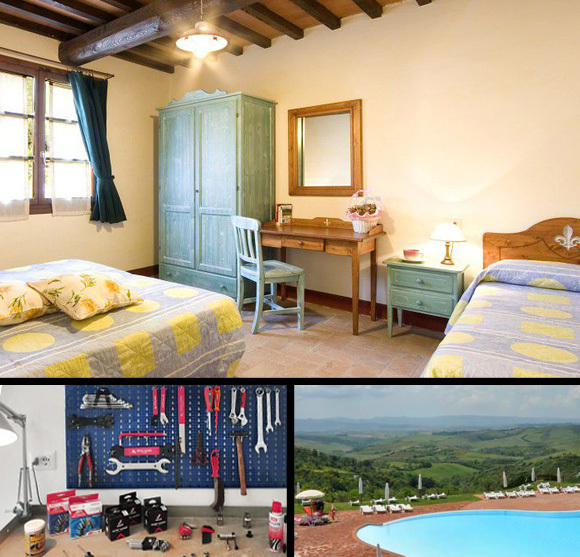 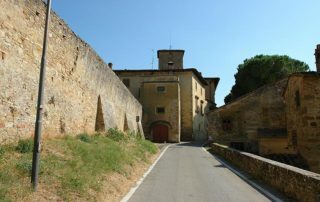 The oldest part, is called instead Certaldo “Alto” or the Castle, and is situated on a hill overlooking the valley). 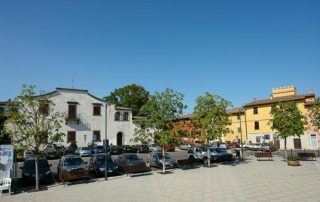 Go to Borgo Garibaldi where there is the statue of Giovanni Boccaccio – an illustrious representative and father of Italian literature lived in 1300 – and continue along Via Felice Cavallotti until you reach a small roundabout. The journey is not over yet, and you have to head towards the next travel destination: Castelfiorentino. 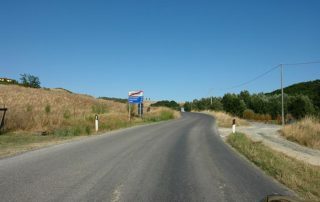 At the roundabout turn at the first exit at right, and in order to avoid the traffic of State Road 429, go along an internal road where passes very few cars. 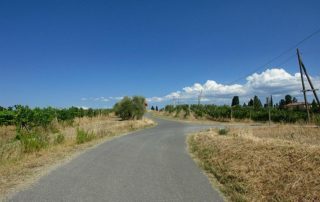 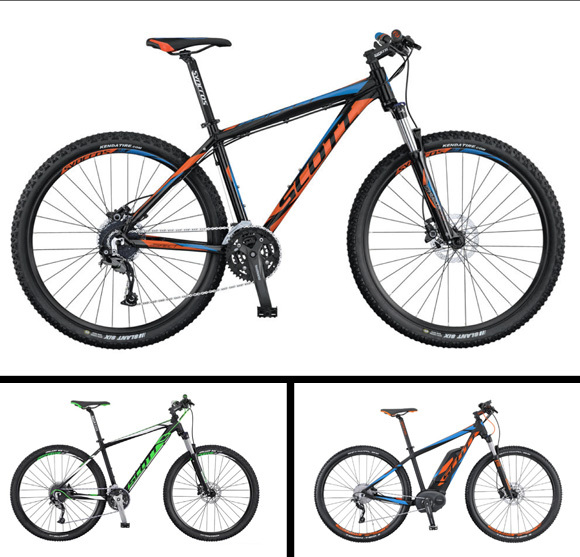 Ride then fast for about 10 miles until you return onto State Road 429. 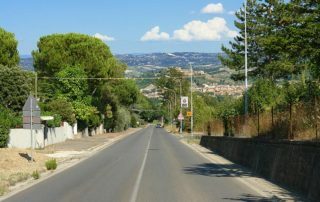 From here, unless you want to visit Castelfiorentino and make a short refreshing stop, turn left onto Via Ciurini until you reach a roundabout. 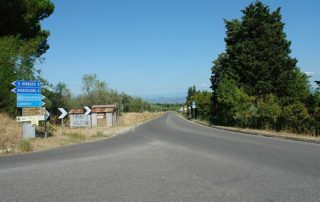 Turn immediately right and follow the road until the next roundabout and then take the third exit on the right. 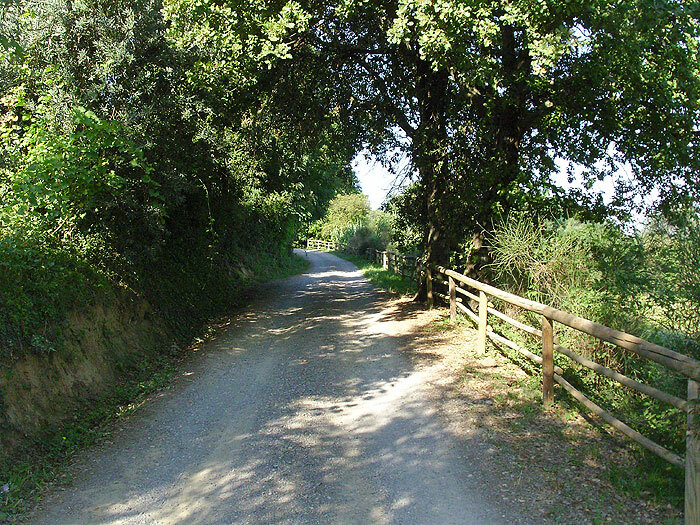 After about 800 meters take the road to the right towards Montaione starting the last part of the ascent for about 8 km that will take you back to the starting point.